Accessibility under the Americans with Disabilities Act is not just physical access. Accessibility is much more, and it requires looking at how programs, services, and activities are delivered. Assistive Technologies such as accessible, mobile applications may provide individuals with disabilities opportunities to access the internet's digital content. even if the content was not designed with accessibility in mind. 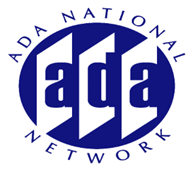 This Webinar will provide participants an overview of state or local government responsibilities to provide auxiliary aids and services needed to ensure effective communications such as making documents available upon request in Braille, large print, audio recording, and an accessible electronic format, and IDEAL Group's Knowledge Discovery Technology. A recent article by Steve Jacobs: Public Accommodation, Universal Access, and Technology, GPSOLO, Vol. 31 No. 2 presents the idea that a public accommodation under the ADA should evolve beyond physical places and into virtual places of public accommodation via the internet. The Department of Justice is considering revising the regulations implementing Title II and Title III of the Americans with Disabilities Act (ADA) in order to establish requirements for making the services, programs, or activities offered via Internet websites, accessible to individuals with disabilities. Beyond goods and services, information available on the Internet has become a gateway to education, employment, government, medical services and social and recreational opportunities. The objective of IDEAL Group's KDD technology is to automatically render single or collections of digital content into new and innovative alternate formats designed to enable individuals with print disabilities (and everyone else) to more easily access, navigate, find and acquire knowledge from that content. Source digital content may include web pages, websites, blogs, wikis, PDF files, Word documents, ePub2/3 eBooks, RTF files, and text files.